Certified to EN/IEC60900, individually tested to 10,000V and fully VDE rated. Cuts, strips (1.5mm and 2.5mm x 3-core), crimps, bends and shears M3.5 switch and socket screws. Improved cutting edges from induction hardened edges. Ergonomic, soft grip handles indicate safety distance from working head. Made in Germany. NWS 6 in 1 Supercutter 190mm is rated 4.2 out of 5 by 6. 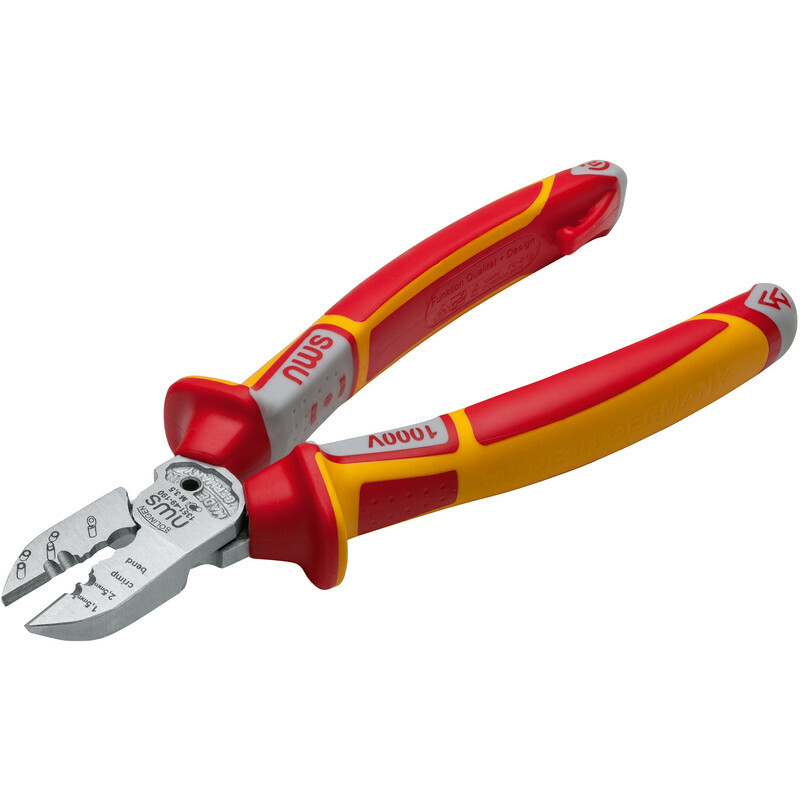 Rated 4 out of 5 by Meeee from Good Quality Needed new cutters that worked well and these fit the bill. Rated 5 out of 5 by Nathintraining from Best tool for second fix Great tool for taking the outer PVC and stripping back to the conductors ready for termination. 1.5mm and 2.5mm groves prove handy for typical domestic work whilst the cutting blade, although short has enough on it to do what you require. Perhaps not the best blade for 1st fix as you may have to chomp through a few cables. So I would recommend the standard nws snips as these 6 in 1s are designed for precision. 2nd fix all in one hand and all good quality. Anvil comes in handy for slicing pattress screws with ease. Doubling back the conductor with the bending grove can be a little tricky to start. But like everything else, takes good practice. 5 year garrantee , so can go wrong for price. Spring clips can be added to these if you prefer or an added lanyard for safety working at hight. Not many other tools offer this. C-Mon toolstation, get these in!